The thumb joint is susceptible to different kinds of injuries, which can eventually cause severe stabbing pain at the right, left, upper and lower parts of the thumb. Besides injury, other medical conditions can also lead to chronic pain, dull feeling and tingling sensation to the affected areas such as peripheral nerve compression, peripheral artery disease and metacarpal fractures. 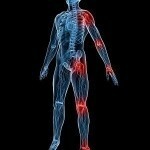 Get to know more about this painful condition by checking out its causes, treatments and symptoms. For patients suffering from a metacarpal fracture involving the thumb joint, they can experience sharp pain and swelling. When this happens, it is very difficult to move the affected finger due to the shooting pain associated with such difficult medical condition. Meanwhile, a sprained thumb is a less serious condition than that of fractures. Those who have this kind of problem usually experience instability and laxity in the thumb joint. In addition, they can likewise expect swelling, particularly at the bottom part of the finger. Because of these things, patients will find it very hard to move the thumb. Bending it backwards is almost impossible to do when suffering from this kind of mild injury. 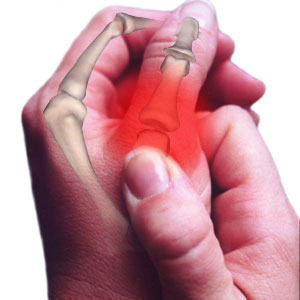 There are different conditions that can cause sharp pain in the thumb joint. The most common causes are sprain as well as metacarpal fracture. Aside from these difficult conditions, people can also expect to feel pain when suffering from brachial plexus injury, peripheral artery disease and diabetes. Likewise, it is very painful for the thumb when suffering from peripheral neuropathy, heat burn and chemical burn. In some cases, patients experience thumb joint pain due to cerebrovascular accident. When suffering from pain in the thumb joint, physicians usually check the medical history of the patients. After that, they perform physical examinations to determine the nature as well as the severity of the problem. The movement of the thumb will be observed and assessed as well. Furthermore, it is also very important to inspect the range of motion. In order to rule out joint and bone abnormalities, x-rays can provide a clearer picture of the condition of the affected body part. In addition to x-rays, it is also good to use magnetic resonance imaging in order to identify if there is tenosynovitis of the flexor sheath. To relieve patients from the severe pain caused by this medical condition, it is good to give them the proper medications. Non-steroidal anti-inflammatory drugs significantly reduce pain and relieve people from inflammation. Some of the most trusted drugs available for pain management are nabumetone, naproxen and ibuprofen. Other possible procedures include joint replacement, trapeziectomy and osteotomy.